I wrote this article for Newsela’s blog. You can read the article on their site, linked here! Few roles have the cyclical nature that teaching does. While we may look forward to the summer (especially those last two weeks of school…. woof), there’s something so exciting about getting a fresh start in the fall. To ease the transition, I’ve compiled some tips for new and veteran teachers alike to make sure all t’s are crossed and i’s are dotted. Even if you’ve already started back (looking at you, charter school teachers! 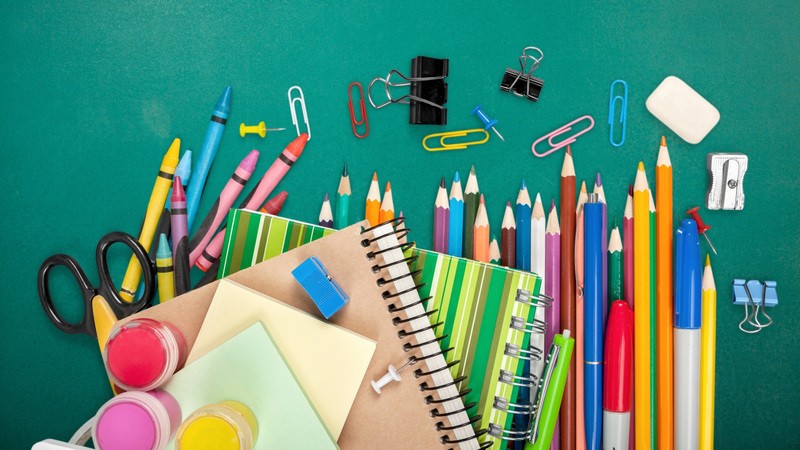 ), these tips are great for the first few weeks of school. You will inevitably need to call home for your kiddos. Hopefully you can make as many positive deposits before making a negative “withdrawal.” When I taught, I kept a Google Sheet tracker so I could tally each positive and negative contact. I tried to do 5-1 to ensure I was winning parents’ trust! If your school uses a management system like DeansList, you can use their iPhone app to automatically have all parents’ numbers are your fingertips! If you’re on your own to get numbers, create a Google Form that students/families can fill out so you’ll have a neat spreadsheet. With this spreadsheet, you can import the numbers into your phone quickly! There are a few ways to do this, but this web tutorial is how I did it! #2) Have a DonorsChoose (or three) in the Works! Humblebrag: I have raised more than $25,000 in grants for my kiddos! This wasn’t magic. I just post a lot of DonorsChoose. The beginning of the school year is a really smart time to do this. Donors know teachers are in need, and companies like Google will often “flash fund” all projects in a given area (e.g. all of Boston). Post a few projects. The worst-case scenario is that it doesn’t get funded, but you also might magically wake up to all of your projects being funded! #3) Bake Personalized Learning into Your Lesson/Unit Plans! Every teacher wants to reach every student and make a difference in their lives. But when it’s “Darktober” and you’re trying to just get through the day, it can be hard to do this. So, pre-plan personalization now, when you are more energized and the days are longer. Adding personalized work time into your class where students can complete work that is customized to their current performance level. Have any other tips you follow religiously as a new year starts? Drop your knowledge below, in the comments! I wrote this post for Flocabulary. You can see the post on their blog, here. As a technology teacher, students know that I love computers and all things techy. For Teacher Appreciation Week, a first grader gave me a thumb drive. Tech can be so fun and can be great for personalized learning. To gauge how well a teacher/school is doing this, we have the SAMR model, a framework that helps teachers, school leaders and districts think about how to use technology. It’s possible to use technology as a substitute in a way that actually isn’t very innovative, like I mentioned above. An example would be transitioning from a paper exit ticket to a digital one. This doesn’t dramatically shift how students learn or how teachers teach. While it does make the teacher’s life easier, it doesn’t augment, modify or redefine how students learn in their classroom. Teachers often use the SAMR model to guide personalized learning and also gauge how well those initiatives are going. 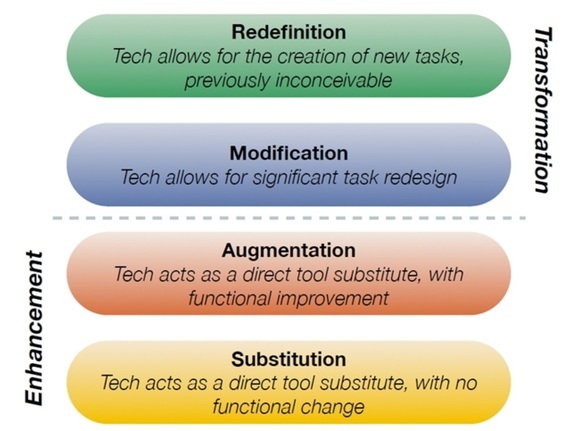 So, what kind of technology fits into a few different stages of the SAMR model and is actually innovative? Flocabulary. For example, Flocabulary represents the “Augment” phase if you were to use The Week in Rap to teach about current events. It replaces a potentially offline task (learning about the news) and enhances it with video, a Discussion mode and other features. At Heights Academy, we used Flocabulary to provide students with personalized vocabulary instruction using the Word Up video series. Our interventionist noticed that some of her 4th grade students in her pull-out group were still lacking Tier 1 and 2 vocabulary from previous grades. 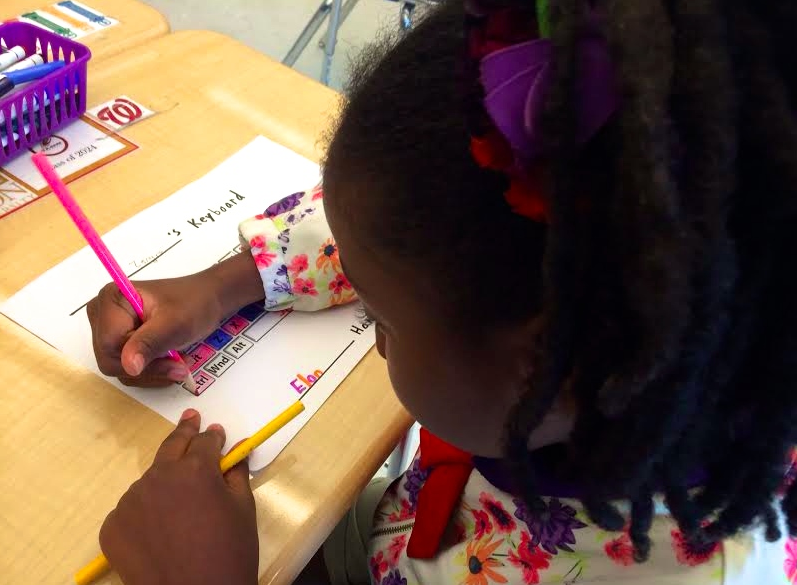 The teacher assigned content from the correct Word Up color for each student, allowing them to access content that was right for them. Word Up is a research-based, standards-aligned resource that is proven to raise scores on state reading tests. Another similar application can be used for math class: you can assign students content based on their fact fluency needs for addition, subtraction, multiplication or division. As they master the content, you can easily assign them new content. 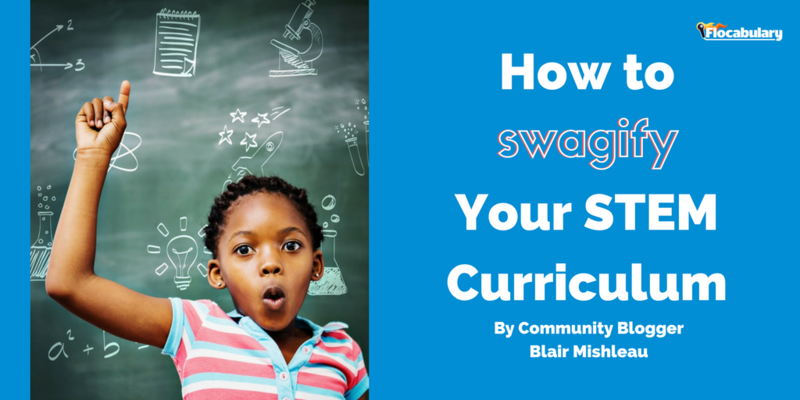 Assignments allow students to engage, master and create Flocabulary content. Assignments can consist of videos, Read & Respond, Quizzes, Lyric Lab and the newly launched Vocab Cards. With assessment data of where students were currently at, one math teacher used Flocabulary’s Addition & Subtraction units to supplement their differentiated small-group lessons. In addition to the engaging videos, the teachers were able to use the printable worksheets and quiz to give students more practice. To access assessment data at both individual and class-wide levels, as well as the ability to assign various activities to your students, check our our school-wide subscriptions. 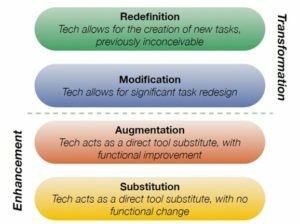 The SAMR approach works well with other assignable or adaptive programs, like Khan Academy or iReady. But, the bonus of a program like Flocabulary is that the content is particularly engaging and sticky. My students beg me to watch the videos again so they can sing along. You won’t find that with just a printed math worksheet. Have you used Flocabulary to personalize instruction in your classroom? Let us know in the comments below! I wrote this article for Flocabulary, you can see it on their Blog here! I have the privilege of teaching adorable kiddos about STEM — specifically technology. Generally, they’re fans of it. There’s definitely more than one hopeful future SnapChat engineer in the midst. However, sometimes even tech class isn’t a basket full of puppies in terms of student engagement. 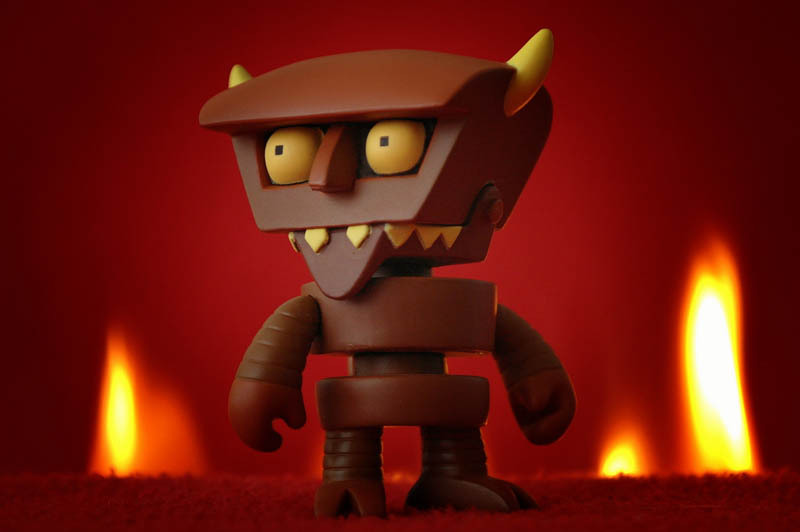 As a first grader innocently asked earlier this year, “But Mr. Mishleau, where’s the fun tech stuff?” That one evidence point told me it was time to turn the spiciness level up and pull out all the engagement stops! One of the most powerful tools I’ve leveraged First Five Image Flocabulary in my classroom for engaging kids in rigorous content has been Flocabulary’s suite of tools for STEM! Each technology class, we have a Tech Video of the Day, which offers a transition from our beginning of class procedures (“First 5”) into our lesson. The Loops video was excellent at making repeat loops in computer programming much more “sticky” and fun. Since Flocabulary continues to add solid content (have you seen their video on Robots?? ), I have been able to bake more and more of it into my tech curriculum. While all of that is great, Flocabulary offers so much more than videos. For example, instead of building my own quiz for the end-of-unit assessment on computer programming, I utilized Flocabulary’s quiz on the computer programming. Earlier in that unit, I also used Lyric Lab to challenge students to write their own rhymes as an independent check-for-understanding. These Computer Code raps had students pull in key vocabulary we had learned in a creative activity. I then shared out the strongest ones to students’ screens using Hapara’s Highlights tool. Students loved the opportunity to be creative, and I appreciated seeing how deeply they had internalized the content we had been learning. It’s hard to be grumpy when you are wearing a robot hat.Robot Hat STEM Flocabulary These hats have been a super-popular incentive in my class. Students know that when they are working hard, showing persistence and self-calming, that I might plop a little robot hat on their head. Students know to yell out “It’s robot time!” when a peer is bestowed such an honor. They’re available on Amazon here, and they tie in nicely to a lot of the content we learn. 3. Can I Get a “What What”?! Another tried-and-true product to the tune of $9.99? Mini-microphones. I’m pretty sure that students know they aren’t real, but that doesn’t keep 1st or 4th graders from shouting out loud and proud when I hold it up to them or pass it around when we’re reading from the board! It’s a much more effective and fun way to ensure students are internalizing the material we are talking about, and it helps trigger me to pull in students’ voices that might not usually be heard. As anyone who teaches from a cart will tell you, #CartLife can be hard! However, I’ve actually found it sometimes easier than having my own classroom (shhh, don’t tell anyone!). One reason is that my cart is smartly stacked with the things I might need. One of them is a plethora of pillows! Okay, more like circular padded mats. But to kids, they are luxurious pillows that you must earn in class. They fit neatly into a few drawers of my cart, and they make technology class feel like an extra-special, different time. I mean…do you get to activate pillow mode in math class? Nope. I build on to the excitement by having students chant “pillow mode, activate!” before giving any out. It reminds kids that it’s fun to be good in technology class. Traditions and routines have made my classroom a much happier and predictable space for kids. One of those traditions is the Tweeter of the Day. Every tech class, a student writes a Tweet to share via our school’s Twitter account. I use the class roster to make sure all students get the opportunity to Tweet their hearts out. So much of teaching is communicating to kids: 1) I love you! 2) This is important! 3) You can do it if you work hard. To convey these messages, I think joy and challenge in the classroom are paramount. Some of the tools mentioned are definitely (intentionally!) a little silly, but they all drive at making students feel welcomed, seen, and making them think and talk about the technology content we are learning. What do you use to drive engagement, culture and achievement in your classroom? Your tip might be my next Amazon educational splurge or a strategy I try to employ in my classroom. Share yours in the comments below! See here to read my masters capstone, entitled “The Potential for Using Adaptive and Assignable Instructional Technology to Increase Student Agency and Achievement”. This was an amazing opportunity for me to write about my passion: using technology to better meet the needs of all students! The piece originally appeared on the CityBridge Foundation’s blog as a welcome to the 2016 Education Innovation Fellows. As the technology specialist at a school, I’m constantly running into issues (our computers haven’t arrived yet, the tech staff doesn’t have time to install them, my lab is being used for NWEA testing, etc.). But, never fear. There are a lot of ways to get nerdy with kids without needing a laptop for everyone. Here are my tips – I’d love to hear some more, if you have them, in the comments! 1.) Code.org. Live it. Love it. Code it. This site is getting really well-known, but there’s a nice little niche that not everyone might know about. There are loads of “paper” activities that can teach little kiddos how to make a “program” and much more. It’s especially great as a primer before letting students use computers. So, you’re lesson-planning. Maybe you feel like you’re about to have a breakdown. Your Corps Member Advisor is there to help, of course, but if you want another way to have it explained or just need some sass in your life, read on! Hi, I’m Blair! I’m a Corps Member Advisor at the Tulsa Institute (woot! 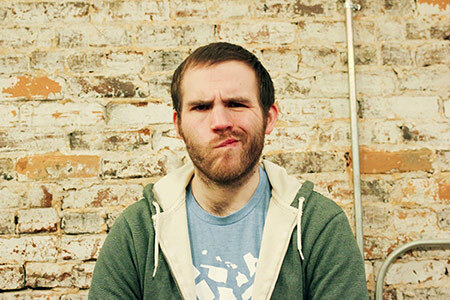 ), and I finished up TFA in the Twin Cities region about a week ago (yup, I’m a newly minted alum… yikes!). 1) Start your lesson plan by thinking about WHAT kiddos can DO and HOW they will explain your objective after you’ve taught them. If you’re teaching multiplication, what will it look like for your kiddos to DO the math, show their work, and explain their answer? This is why your exemplar response is so important. Side note: If YOU don’t know the skill, you’ll have the darndest time teaching it. Make sure you can explain the skill backwards and forwards. Try explaining it to your beau, your mom, or a friend via phone—if you can do it there, you can teach it! It was the first day of teaching for all Tulsa Institute corps members. This day had been coming for many months, since the moment they were first accepted into the corps. All of this time boiled down to their first hour in the classroom. It’s a lot of pressure. As a School Operations Manager, I was doing my rounds (most likely re-taping signage or putting up a bulletin board) when I saw him. Ross. Sitting outside of his classroom, on the floor. He wasn’t crying, but the look on his face communicated his utter inner turmoil. I sat down next to him and asked what was up. He candidly told me how absolutely awful his first lesson had gone.